A recent OIG enforcement action emphasizes the need to understand the proper use of units. A healthcare provider in Connecticut improperly submitted multiple units for drug screening urine tests. The proper billing of units has proven to be problematic for more than just lab tests. 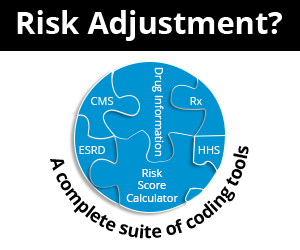 Is your billing of drugs & biologicals, injections and timed codes appropriate? In August of 2017, a Brooklyn chiropractor was ordered to repay $672,805 to Medicare because the reviewer found that 100% of the claims reviewed (from 2011-2012) did not meet medical necessity requirements. The chiropractor enlisted help from two reputable experts who disputed the findings of Medicare’s Professional Reviewer (MPR). However, the OIG maintained that the findings of the original auditor were valid. Since none of us have ½ million in cash just laying around, it is essential to learn, understand, and make changes where appropriate to help audit-proof patient documentation. Read here to learn more. Compliance. It is one of the buzz words in healthcare that is heard all the time but what is it really, and why is it so important?